Hallway, separate toilet, large living with a balcony facing east and a balcony facing west, fully equipped modern kitchen, 3 large bedrooms and a bathroom with a toilet, 2 sinks, bathtub and a separate shower. Possibility to rent a parking spot in a garage for an extra € 175,- per month. 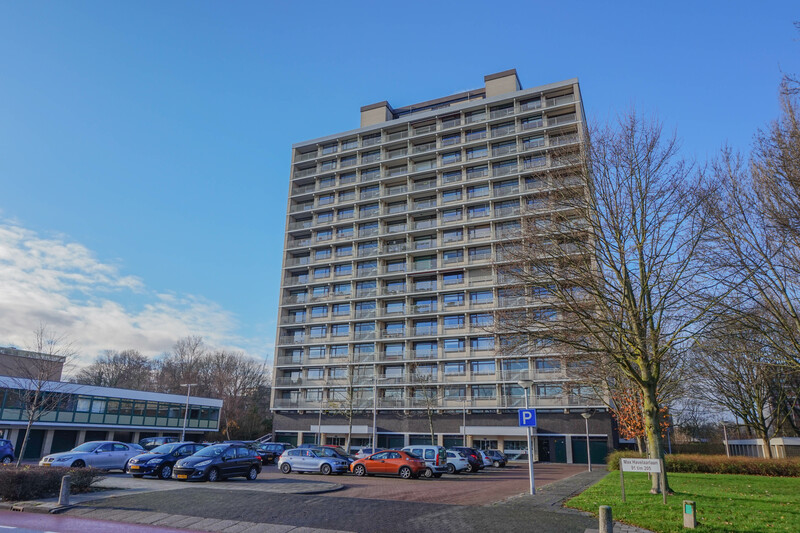 The apartment is located in Amstelveen on a close proximity from Stadshart (Centre + shopping centre), 2 supermarkets and other shops on a short walking distance in a small neighborhood mall and the metro and tram stop towards Amsterdam Central Station, South Station/ business district and the international school.